The Teatro dell’Opera di Roma announces that due to an episode of cardiac arrhythmia that took place on the night between 4 and 5 December, maestro Daniele Gatti will be unable to conduct Rigoletto this evening, Thursday 6 December. The show will be conducted by Maestro Stefano Ranzani. Maestro Gatti’s health conditions are improving, but he needs a few days of rest. 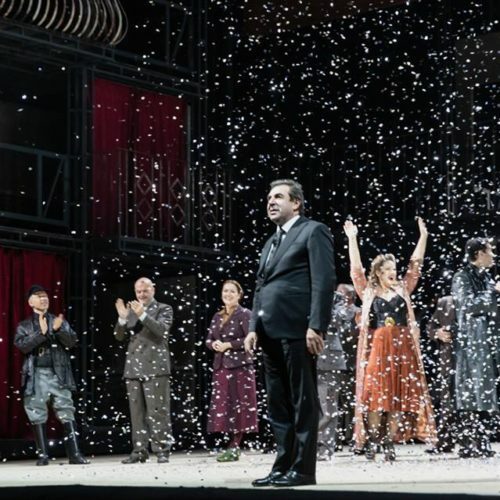 He will be back on the podium of the Teatro dell’Opera di Roma from Sunday 9 December, to conduct the remaining scheduled performances of Rigoletto. performance in Baden-Baden and Berlin, and the Bundesjugendorchester. Maestro Gatti expresses his regret and looks forward to future collaborations with all musical institutions involved. In circles of Teatro dell’Opera di Roma and Mahler Chamber Orchestra (the two institutions that has Daniele Gatti as music-boss), it is to hear that Gatti will undergo a heart operation in spring. February, march and april will be totally off for the Italian maestro. He had a lot of free time after the Concertgebouw kicked him out! And now the “heart operation” is a very good idea from his side. All musicians with daughters should say thank you to the Concertgebouw and the brave women there! Wishing one of the great contemporary maestro’s all the best and a speedy discovery. I’m no doctor but I wouldn’t be surprised if stress, caused by the Dutch Inquisition, had something to do with this.